Calling all young voices who are eager to explore your God give potential. Do you love to sing? Constantly humming a tune? Interested in performing for live audiences? Desire to know how the Word of God pertains to your life? If you (or your children) are a singer from age 6 to 16, this program is perfect! Our very first semester classes have started in early March, 2017. We have spring and fall semesters every year. Usually, classes take place every Saturday from 10am to 12pm noon, in a studio in Queens. 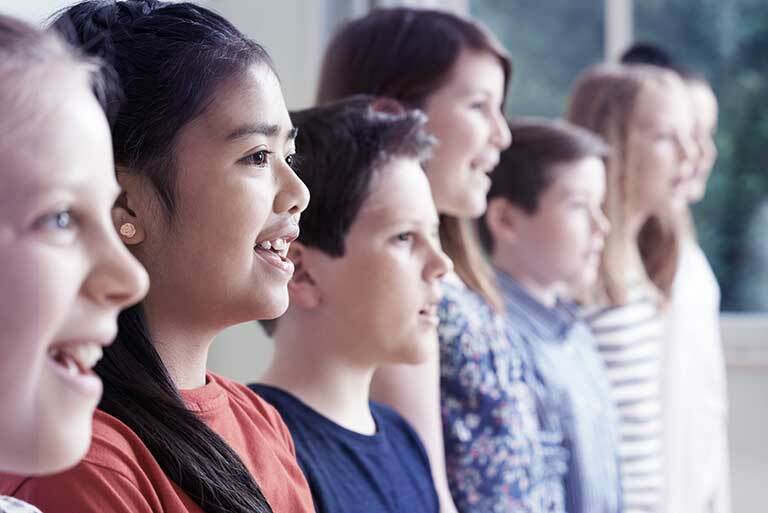 Each class includes choir practices as well as lessons in music theories and vocal training. The cost for this is tax deductible love offering, with the suggested [but not required] donation of $35/class. Candidates between age 6-16 must pass the audition in order to join the program. Below is the info for our auditions. Location: A Music Studio in Queens. We will contact you for the details.